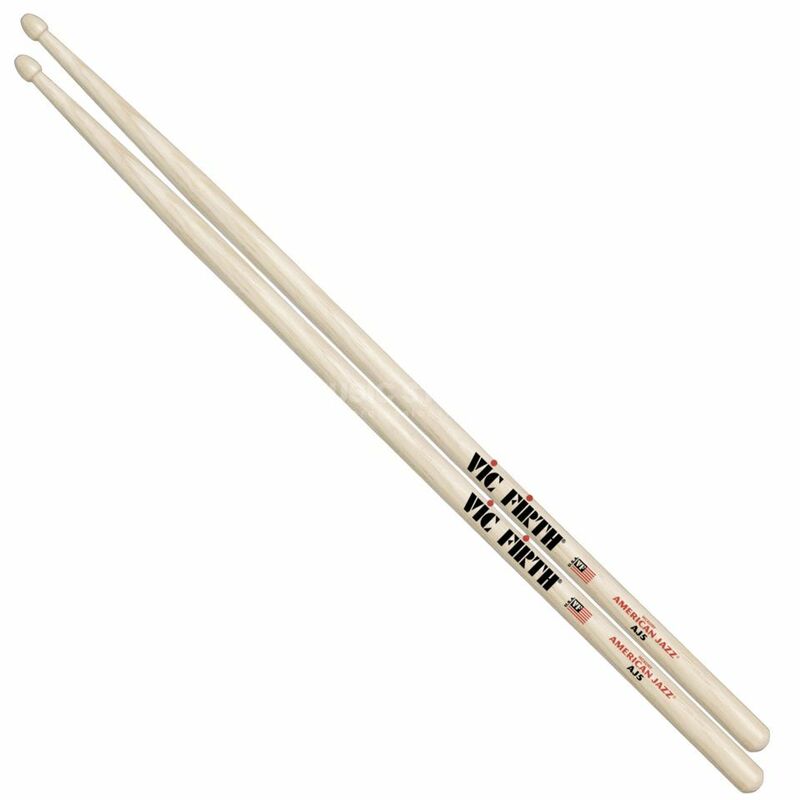 The Vic Firth AJ5 American Jazz Drum Sticks is a set of drum sticks, made from hickory, with a 406.4mm length, a 12.4mm diameter, a lacquer surface, and a tear drop wood tip. These drum sticks from the American Jazz Series are the thinnest stick in the entire catalogue. Built with great balance in mind, a long taper makes it light and easy to play.